Spectacularly set close to a secluded shingle beach and private mooring, this detached property has an enviable location and is perfect for those looking for peace and quiet. 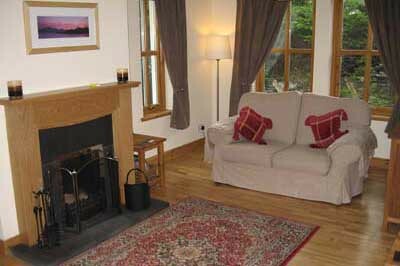 The property is beautifully furnished and commands stunning sea views over Loch Shieldaig and the sea. Seals and otters are a common sight from the house, which is guaranteed to keep the whole family fascinated for hours. Dramatic mountain views can be enjoyed and for keen walkers there are plenty of interesting walks to be found, including climbing in the Torridon Mountain Range. The cottage is reached via a short rough road from the village where a pub, two shops and a restaurant can be found as well as boat hire. Trips to the beautiful city of Inverness are easily accessible and the village of Plockton, home to the popular television series Hamish Macbeth is just a short drive. The Isle of Skye is well worth the visit and is accessed via a bridge over the Kyle of Lochalsh. Applecross is another village not be missed, it is an idyllic place where visitors can wander along lanes banked with wild iris and orchids, and explore beaches and rock pools on the shore. 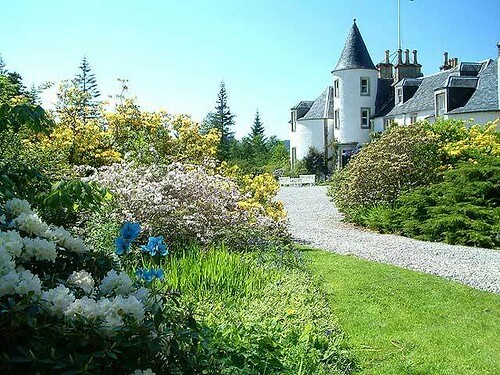 It is also an adventure travelling to Applecross, where some of the most breathtaking scenery in Scotland can be seen with panoramic views across the Minch to Raasay and Skye. The nearby Countryside Centre is the gateway to a massive mountain nature reserve. Shop and pub 1/2 mile. Step to entrance. Spacious living/dining room with wood-burning stove and sea views. Two steps up to spacious modern fitted kitchen with breakfast bar area and ceramic tiled floor. Utility. Bathroom with shower cubicle and toilet. Shower room and toilet. First floor: Two double bedrooms; both with 5ft bed and one with additional single bed (for +1), each with TV and coombed ceiling. 1st comment: We spent a week at Rhuba Lodge in December 2011 had an absolutely fantastic time,amazing views, Rhuba has everything you would need, arrived early at Rhuba to a warm welcome from Anita who gave us information about the surrounding area, went for some lovely walks saw seals, eagle, deer, had a drive through Applecross and over Bealach Na Ba which was 4 foot in snow it was breathtaking!!! The locals were friendly and had a great meal at the local pub,but found the owner rather rude to locals ! Hope to go back as soon as possible. Dec 2011. 2nd comment: Shieldaig pub food not brilliant Applecross and Badalchro inns very good and with character Be prepared to drive to start of walks In fact do not go if you cannot walk plus must love mountains. Oct 2011. 3rd comment: This was our second visit to Rubha Lodge. The magic of the place was as we remembered. This time we saw the Sea Eagle, such an amazing site. Unfortunately the time came to leave this outstanding property and area. Hopefully we will return for a 3rd time, as this area and the cottage are so difficult to leave. Sept 2011. 4th comment: The property was wonderful, it far exceeded our expectations and after spending many holidays via your company, this was by far the best. Sept 2010. 5th comment: Loved it immediately we walked in....brilliant views & a beautiful house. We had a wonderful week. Perhaps the following could be conveyed to the owners.... The only downside was no bathroom upstairs (room upstairs, presumably bathroom was locked).As the 4 of us were in our sixties, night time visits were necessary & meant going downstairs with the possibility of slipping on stairs. Rather a nuisance. Aug 2010. 6th comment: Outstanding location, very high quality internally with some lovely personal touches not often found in holiday lets. eg. wine available to buy and everything you could want in the kitchen. June 2010. 7th comment: The cottage is really well equipped, beautifully and comfortably furnished, set in a beautiful location and very private. Nov 2009. 8th comment: Did not have brochure and photographs. House very pleasing. Spacious and well equipped. Wonderful views, facing sunset and the loch. Thank you. Oct 2009. 9th comment: Been over 15 times so great for us. Lovely location, quiet and peaceful and exceedingly comfortable. On the down side, the rough road accessing it is getting rougher every year. We have now resorted to taking our old 4-wheel drive instead of our main car. Owner VERY helpful. Housekeeper essentially unobtainable. There is no means of leaving a voice-mail message either on her home ’phone or on her mobile which is invariably switched off. Sept 2009. 10th comment: Rubha Lodge is by far the best property i’ve ever rented, its in a stunning location and the furnishings are faultless. Absolutely everything thats needed for a perfect holiday is contained within this property and its surroundings. The view from the living room is quite simply stunning, every morning we were greeted by the local sheep quietly grazing nearby .There is also a private beach , ideal for mooring a boat , and evening barbeques. Sept 2009. 11th Comment Brilliant cottage- luxurious, fabulous position, views. Aug 2009. 12th Comment Good situation 10 minutes walk from village with a shop, good pub &restaurant. Wonderful views from cottage. Spacious cottage with wonderful views. Very well furnished & equipped. July 2009. 13th Comment The photograph and description of this property do not do it justice. It is a fantastic property with outstanding views. Would recommend it with no reservation. The area close by is exceptional. Applecross Penninsula not to be missed. May 2009. 14th Comment Rubha Lodge exceeded all of our expectations, this is by far the best property we have ever had the pleasure of renting, the furnishings and overall presentation of the lodge were second to none. July 2008. 15th Comment Comfortably furnished. Aug 2006. 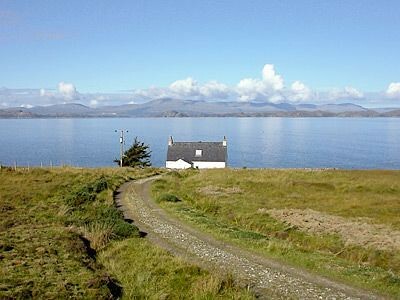 16th Comment A wonderfully peaceful cottage with a great combination of luxurious living with views of the rugged and very beautiful outdoors of the scottish highlands.Views from all rooms not to be missed. Oct 2006.